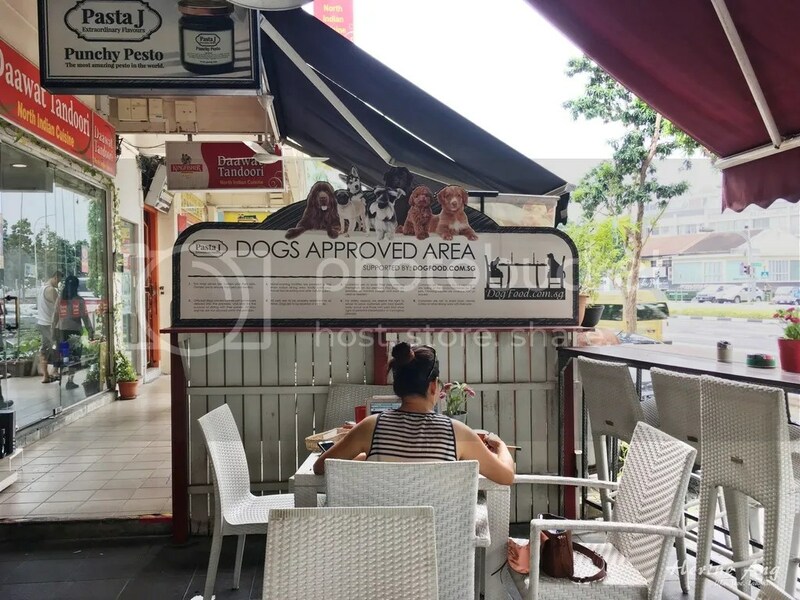 Looking for some quality meat and pasta when you’re bringing your pooches out ? 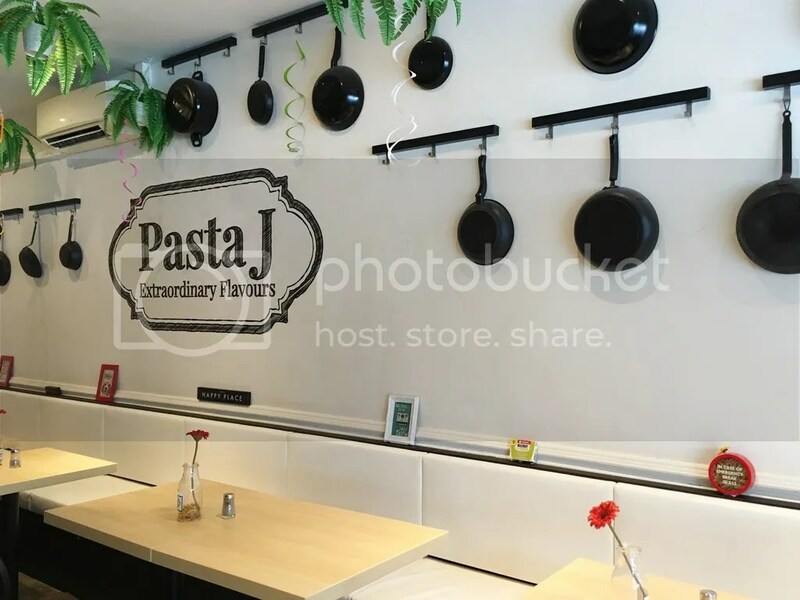 Then head on down to Pasta J at 205 Upper Thomson Road. 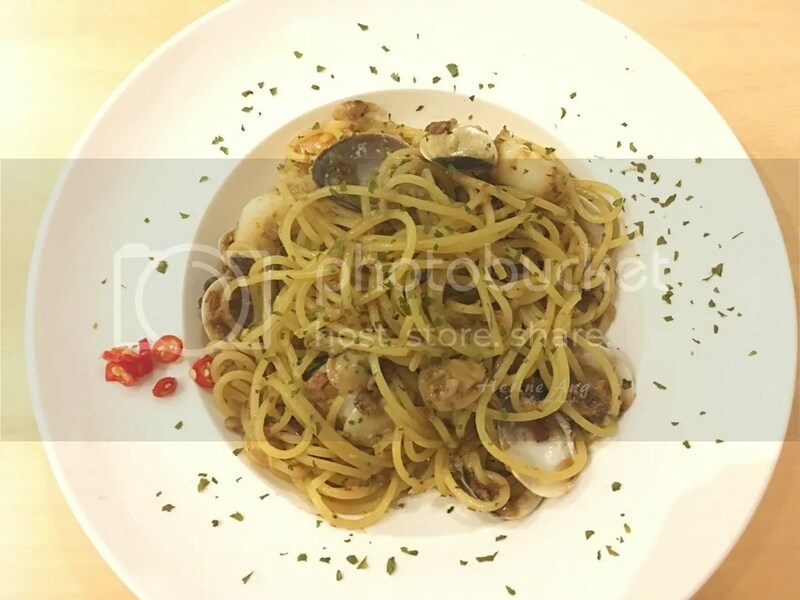 Situated in the heart of the food street, Pasta J offers an impressive menu of pasta and well grilled meat. 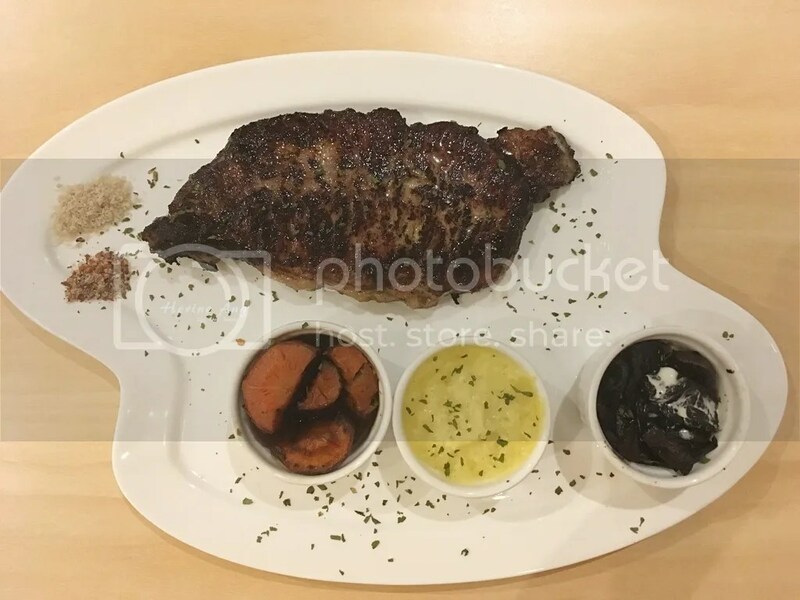 The menu is not extensive, but every item on it is sure to wet your palate. Giving in to my addiction to seafood, I ordered the Clammy Addiction pasta ($18.90) and boy did I not regret my decision! It is packed with flavour and unlike traditional Vongole, this particular dish was a little dryer, much like a clammy version of Aglio Olio. If you prefer a spicier version, you could always request for more chili and the servers would gladly oblige with a smile. For those of you who like a good slab of steak, try the Super Strip Loin ($31.90) and you would be greatly satisfied. The beef is well aged and not smoked, but the flavour that is packed in this little slab of meat beats many steakhouses that we’ve been to. There is no need for any sauces for this strip loin; just a little dab of natural sea salt and spiced sea salt is all you need. According to S, the meat melts in your mouth and I can personally attest to that. The side dishes accompanying the strip loin are just nice in portion, and pairs perfectly with the steak. The sweet potato adds a nice touch to the entire dish by neutralising the saltiness of the sea salt; the mash potato is very creamy, much like the one at Poulet; and the mushrooms are so fragrant that even S clean them off (she is not a mushroom person at all)! The restaurant is clean and bright and dogs are allowed in it! 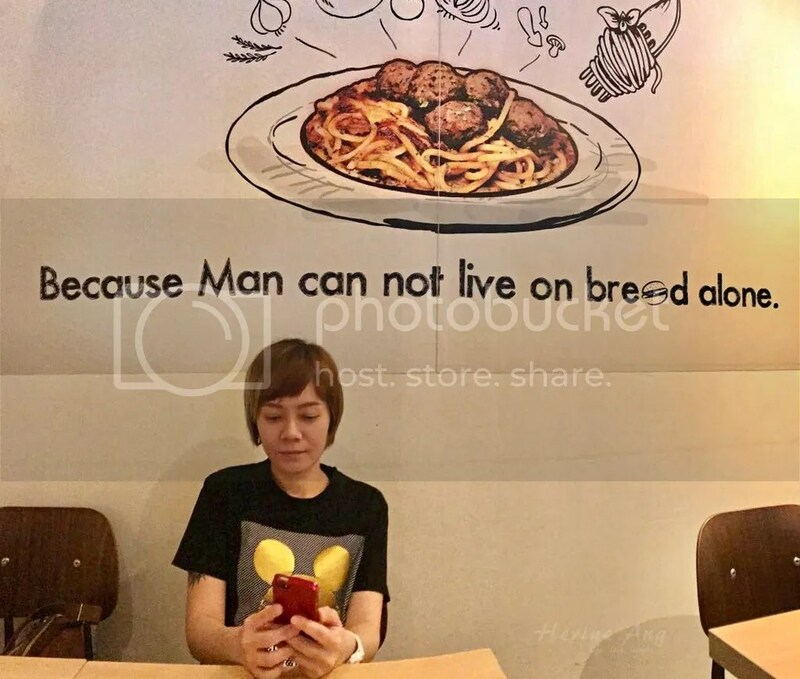 The owner of the restaurant is very friendly and would give his personal recommendations based on your food preference. He jokingly bragged about his menu but yes, I would say they are worth the brag! If you have some noisy pooches or would like some sun, fret not as there is an outdoor area for you to chill as well! All in all, S and I thoroughly enjoyed our late lunch there and agree that this has to be one of the better meals that we have had before! Next Post → Planning for My Dream Gym Room!